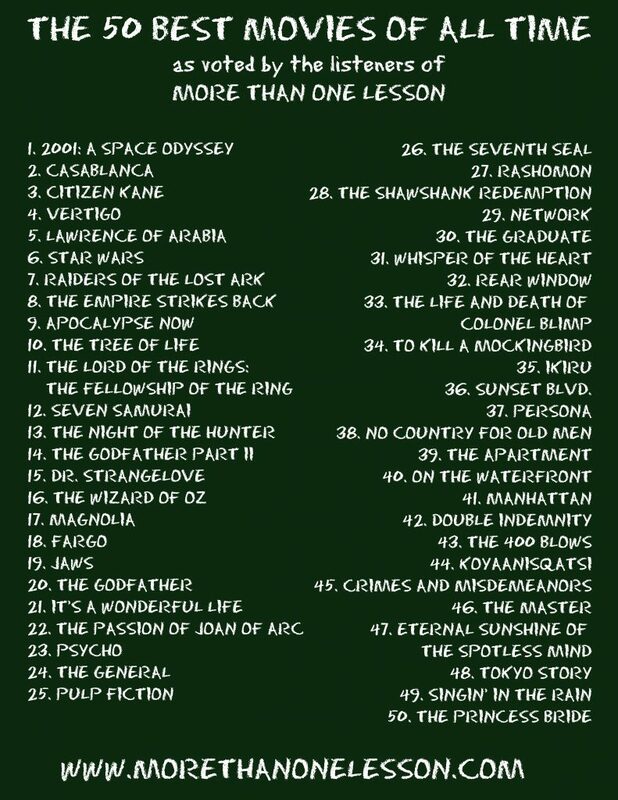 Would you like to hear us talk at length about the best movies of all time? Check out the specific episodes and minisodes we’ve recorded over the years about some of these wonderful films. Casablanca is perhaps the height of studio-era filmmaking. It is much more a collaborative film then an auteur’s masterpiece, but it maintains a singularity of tone and style that is unmistakable. The Epstein brothers gave this cast some of the strongest and snappiest dialogue that American cinema has ever seen. Humphrey Bogart oozes cool, but still beautifully portrays the pain behind Rick’s devil-may-care façade. Ingrid Bergman gives the performance of her career as the conflicted Ilsa. In a wonderful twist of irony, a film about patriotism takes place in a setting where no one is really at home. Casablanca is an in between place, where no one can really ever have a solid footing. 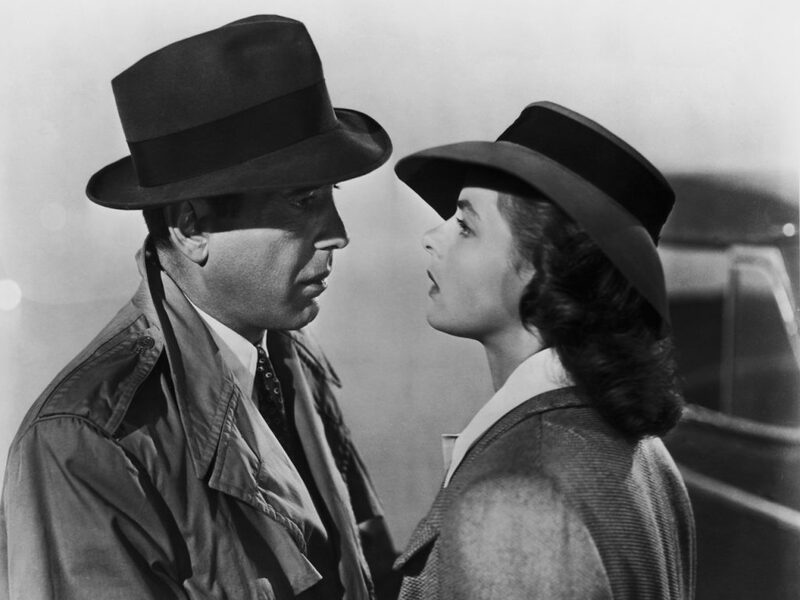 Both a gripping war intrigue and a dramatic love story, Casablanca is a timeless classic. 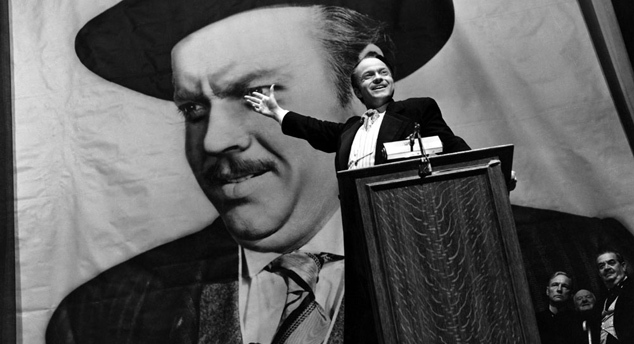 Considered by many to be the best film of all time, Orson Welles’ Citizen Kane changed the way movies were made. Welles brought his unique knowledge of theatre and radio – along with a refusal to acknowledge his own limitations – and crafted a film that is a perfect blend of the visual, the audio, and the dramatic. The film studies the life of a great man, Charles Foster Kane, who eventually loses everything due to his own unfulfillable needs. Like the visual quality of the film, the storytelling itself is unique and spellbinding, favoring other characters’ interpretation of Kane over his own; it is, in many ways, the perfect way to make a movie about a public figure, who is defined as much by other people’s opinion as his own actual identity. As we search for the key to unlocking the mystery of Kane, we soon find that the complexity of the filmmaking is meant as an expression of the internal complexity, not only of Kane, but of us all. It is a film that concludes that nobody can be summed up by one object, one relationship, one career. Each person’s life is a vast, interwoven tapestry of experiences, beliefs, and actions that can never be totally understood nor explained. 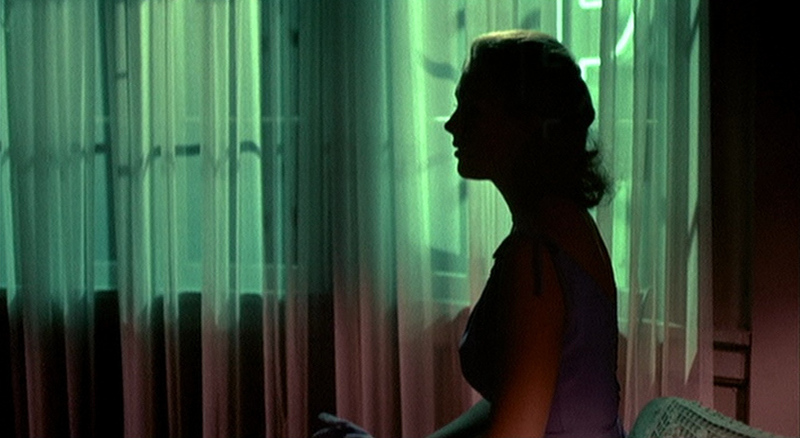 It is a staggering, confident work that has forever shaped the way film is made, and watched. David Lean helped define what it means for a film to be “epic”. With his Bridge on the River Kwai and Doctor Zhivago, Lean took us from the depths of the jungle to the frozen tundra, throwing his characters in the midst of these harsh elements and forcing them to figure out who they are. But, as effective as those films can be, it is Lawrence of Arabia that stands above them all. This isn’t merely due to the gorgeous photography of the vast, unforgiving deserts of the Middle East, though that does definitely play a role. The reason Lawrence of Arabia is so fascinating is that Lean chose to place at the center of his WWI epic a quiet, enigmatic young man whose actions set everything in motion, but whose motivations are a complete mystery. T.E. Lawrence is one of the most complicated characters in film history. He is a man of contradictions. He is British, yet loves the desert. He is rebellious, yet a brilliant tactician. He is egotistical and pompous, and yet remains charismatic and likable. Nobody knows what he wants or needs, least of all him. But that doesn’t stop him from leading or others from following him. The risk that David Lean took, hinging such a huge, self-assured production on a character so unknowable, paid off and Lawrence of Arabia remains a lavish, exciting, frustrating, daring film that raised the bar for epics, biographical pictures, and film itself. 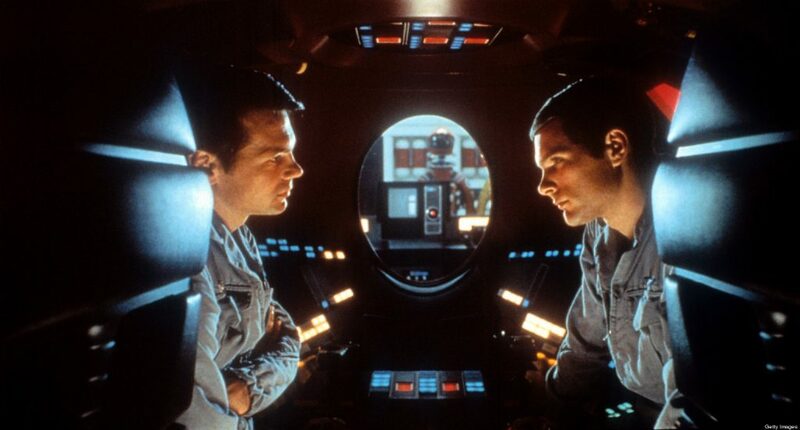 The movie that changed sci-fi forever, and one of the first “blockbusters” to hit the big screen. Star Wars excels on so many levels. It appropriates classical mythology to create an epic journey, predicated on a battle between good and evil. It gave us a different kind of sci-fi setting, that looked old and lived in, rather than shiny and futuristic. It wowed audiences with special effects unlike any they’d ever seen. George Lucas and his team of artists created a wealth of iconic imagery, from Star Destroyers, to lightsabers, to droids, to Darth Vader. It’s a story that’s big enough for exploding planets, but small enough for a young man struggling over his destiny. Star Wars is one of the classic stories of the twentieth century, and will surely gain fans for decades to come. There are few films that succeed at entertaining audiences of all ages, and even fewer that can make adult audiences feel like they’re the kids. At the height of his career, George Lucas was the creative force behind two of the most iconic and influential films to accomplish just that. 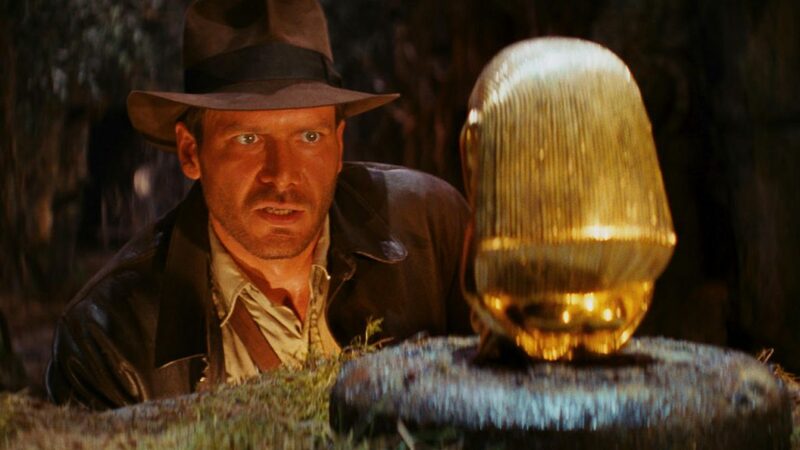 While Star Wars explored the fantastic, Raiders of the Lost Ark delved into adventure and excitement. The character of Indiana Jones isn’t the perfect and untouchable hero of the old serials from which he was conceived, and he isn’t cool and composed in the way that James Bond is. He takes hits and can feel them later, he fights dirty and makes it by the skin of his teeth every time. He’s not the hero that only a child could find appealing and aspire to, he’s an antagonist of a modern age that an adult can see relate to. There’s a hint of cynicism to Indy’s humor that we can’t help but see ourselves in, yet he’s relentless and persistent to the very end, and we admire that. Our tastes change as we get older. That’s not necessarily something to either mourn or celebrate; we just have to learn to accept the fact that as we evolve both biologically and psychologically, we’ll experience and respond to the world differently (I don’t care for jelly now that I would’ve devoured as a child, but I also am much more tolerant of pop music than I was while in college). Revisiting the (only) Star Wars trilogy (that matters) now, I find that I grow impatient with the pacing of A New Hope and that I don’t respond as well to the sentimentality of Return of the Jedi. On the other hand, each rewatch of The Empire Strikes Back solidifies its reputation as not even the finest Star Wars film or as one of the finest sci-fi films, but as one the finest films of all time without qualifiers. It’s easy to make the joke that Empire is better because it’s darker, but that belies an honesty and a much more accurate truth – that Empire was a film that understood its universe, its characters, and both the narrative and emotional stakes in play. Empire has stood the test of time thanks to, yes, a phenomenal script and director, but also because its focus was not on how to explore its genre, but how its genre could be used to explore and supplement truths and investments that ring true outside of any single medium or time. Depending on what version you watch, it’s also the one installment least tainted by its creator’s needless tinkerings.